The article illustrates how metabolic enzymes maintain and repair all the body organs and tissues. The human body is essentially made up of cells – trillions of cells that form tissue and other compounds that form the body. Every single person’s body is also different from another person’s body, even though they might appear somewhat similar. We all have the same organs, except for the differences that can be observed on and within a male and female body, and, ultimately, our bodies work in similar ways. Even though the organs, systems and processes are similar in action and appearance, we all have a unique body in the end. Each person has their own unique DNA, similar to how they have a unique fingerprint or an identification number that identifies them in their particular country. It is not only our DNA that is uniquely our own, but also many other aspects, such as our microbiome and the way our brains are wired. We are able to survive because our heart pumps blood through our bodies, our brain allows us to move, think, speak, see and hear, and the various systems in our bodies are able to support our daily functionality. While it seems quite simple when we put it this way, the body is actually a very complex organism and every single part of the body is just as complex and intriguing. A particular subject that we want to focus on in this report is enzymes – more specifically, the enzymes that are involved with the metabolic system of the human body. There are quite a large number of different enzymes in the body – some are produced inside the body, and others are produced on the outside and then ingested and absorbed by the body. These enzymes play important roles in maintaining a healthy body and to ensure food can get digested and processed, nutrients can be absorbed, and to ensure our bodies produce an adequate supply of energy every day. While our report focuses on one particular group of enzymes in the body, we should start out by discussing the three primary enzyme groups  that exist within the body. 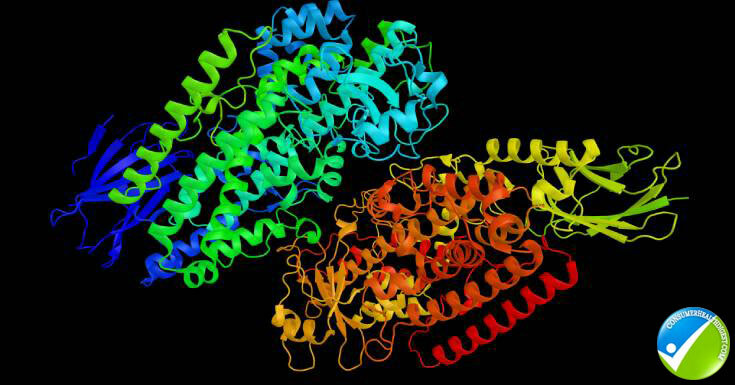 This is an important step to take in understanding how exactly enzymes work in the human body. Even though the three primary enzyme groups cannot be mentioned interchangeably and they each possess their own unique structures and functions, they still work together in some ways to ensure our bodies function at an optimum level – and to avoid the development of disease that may reduce our quality of life and affect our expected lifespan. 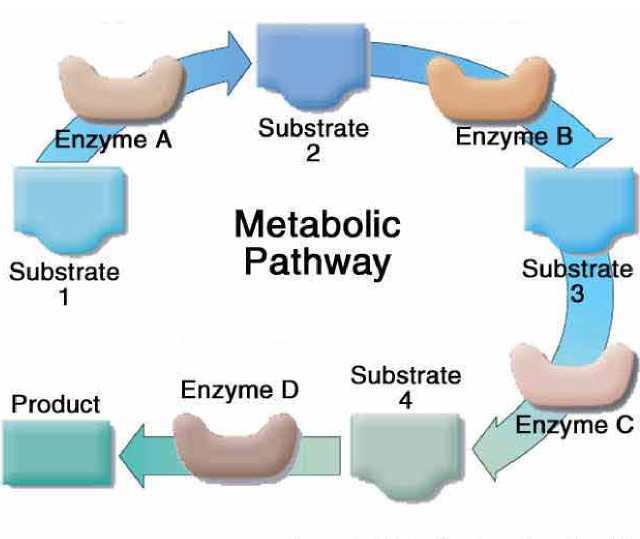 Metabolic enzymes are the focus of our report; thus we are only going to provide a basic overview of what these enzymes are in this section and discuss them in more detail later on in this report. Metabolic enzymes are essential for life. Without them, our body would not work at an optimum level and we would not be able to live as we do. These enzymes are not obtainable from food sources and they can only be produced naturally by the human body. Metabolic enzymes contribute towards the functioning of the body by being involved with all organs and tissue at a cellular level. These enzymes are also important for the blood circulatory system and for blood. All tissue and organs in the human body are made up of cells, and metabolic enzymes are responsible for the growth of these cells. These enzymes do not only cause new cells to grow, but also repairs cells that have been damaged, maintain cells to ensure they stay healthy and function properly, and these enzymes also flush any dead substances from cells during its maintenance phases to ensure cells do not become ill or start to malfunction. Digestive enzymes also play a vital role in the wellbeing of the human body, and a deficiency of these enzymes may lead to the body’s inability to adequately process the most essential nutrients that we need for survival. In technical terms, a lack of digestive enzymes in the body causes a starving effect since we are unable to obtain the required nutrients from food sources, even when we do consume foods that are rich in vitamins, minerals, proteins, fats and carbohydrates. Similar to metabolic enzymes, digestive enzymes are also naturally produced within the human body and is not obtained from external sources. These enzymes are essential for the metabolic and digestive processes, and helps to break food down into smaller particles – these particles are known as nutrients and may include vitamins, proteins, fats and carbohydrates. Digestive enzymes, together with metabolic enzymes, also acts as a delivery system to transport these nutrients to organs and tissue throughout the entire human body. The nutrients can then assist the tissue that it is delivered to with its functionality, and to ensure the tissue stays healthy and do not become prone to developing malfunctioning cells, or start to function ineffectively. 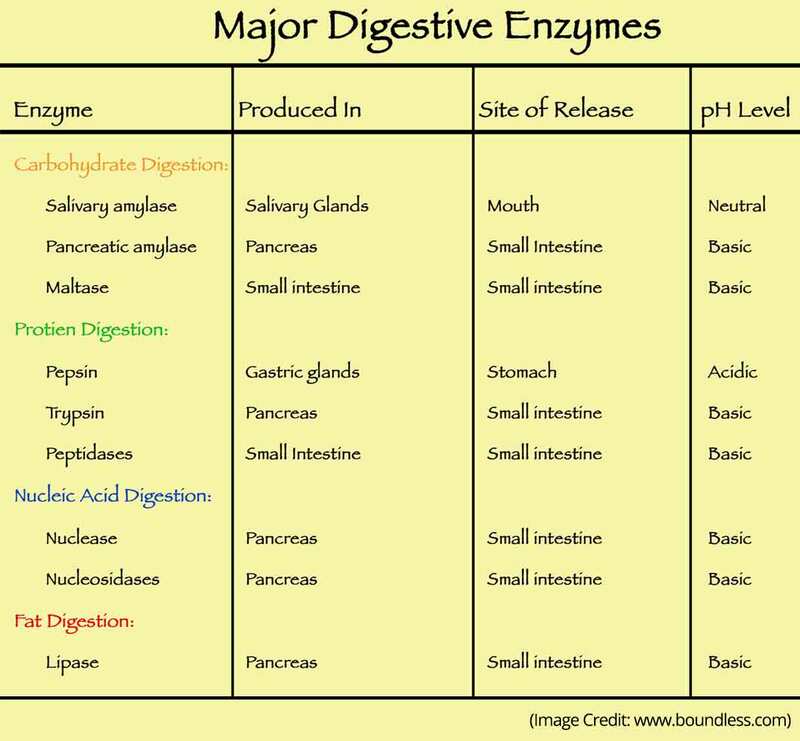 There are many different types of digestive enzymes, and each serves a specific purpose in the digestive system. Many of these digestive enzymes are a mystery to the general population, but it is well-known that an important digestive enzyme is secreted by the pancreas. The pancreas produces this particular digestive enzyme and then injects it into the small intestine and the stomach, where it assists with the process of digesting food – this includes breaking food down into nutrient particles and then delivering the food to the blood supply, where it will ultimately be transferred toward organs and body tissue. Protease – Protease is a digestive enzyme that is responsible for breaking down protein from food and then digesting the protein, including transporting it, with the help of metabolic enzymes, through the body. Amylase – Amylase is another digestive enzyme that is vitally important to the digestive system. This particular type of digestive enzyme breaks down carbohydrates, which will ultimately be converted into a fuel source for the body, which we can then use as energy. Lipase – Lipase is the third of the most important digestive enzyme types, and assists with the digestion of fats. Finally, let’s not forget the third group of enzymes in the human body – food enzymes. While metabolic enzymes and digestive enzymes are produced inside the body, food enzymes come from external sources – as the name suggests, from food particles. Food enzymes can be provided to the human body through the means of supplements or raw foods. These enzymes also play an important part in the digestive system and work hand-in-hand with digestive enzymes, assisting with the breakdown of food that we eat. You can also get digestive enzymes by using a supplement which increases the amount of digestive enzymes into the body thus improving the digestive system. Take a quick scan of MAV Nutrition Digestive Enzymes Review which might be a decent option in the pool of digestive enzyme supplements. When we look at food enzymes, it is important to also discuss coenzymes. Where food enzymes are present, coenzymes are also usually present. It is the minerals and vitamins contained within the food that we consume that are classified as coenzymes. These coenzymes provide various functions for the human body and play an essential part of life, just as the main enzymes do. Consuming raw food is the only way we can obtain food enzymes, as these enzymes are destroyed when food is cooked. Coenzymes, however, are not entirely destroyed when food is cooked; thus we are still able to obtain vital minerals and vitamins from the food we consume, even if it has been cooked. This is why certain foods should never be cooked, in order to preserve the particular food enzymes contained within these foods and to ensure we obtain them to assist with the digestive process. Now that we have discussed the three primary types of enzymes that reside within the human body, it is time to turn our focus toward the particular group of enzymes that we would like to focus on in this report – metabolic enzymes. As we have already noted, metabolic enzymes are responsible for the growth, repair and maintenance of all cells that are found in the body, including those that forms tissue and the organs. Metabolic enzymes, however, do not work alone, but rather forms an essential part of enzyme activity and works together with enzymes from the other two enzyme groups. It is also important to note that metabolic enzymes also have a crucial part to play in the conversion of energy, which is used as a type of fuel by the human body to continue working and allow us to participate in daily activities. We do not only require energy to participate in exercises at the gym or to join in on a game of football, but our body needs a constant supply of energy for many other functions. Furthermore, the digestive process relies quite heavily on the activities of the metabolic enzymes, but just as much on the activities of the other enzyme groups. To thoroughly understand the function of metabolic enzymes and how they work in the human body, we should take a quick look at some of the enzymes that are involved in the metabolic process. Since there are thousands of different types, we are going to focus on discussing the most common metabolic enzymes that are involved in the various processes of the human body, with a special focus on those that surround the different types of classes proteins are classified into. See More: How To Boost Up Your Metabolism To Work Harder & Better Than Before? Let’s start with carboxylase. This particular enzyme is an excellent example of how enzymes from different groups and classes work together to make the body function. There are different types of carboxylases, and each has a particular function to play. These enzymes are essential for the homeostasis of the internal human body, and without an adequate concentration of carboxylases, the body is at a much higher risk of developing several deadly diseases. First, let’s get back to the fact that this particular metabolic enzyme is dependent on the activity of a coenzyme. According to a review paper by the Columbia University in New York, carboxylases are dependent on biotin. Biotin, in turn, is a coenzyme that is present where food enzymes are present. Biotin is a type of vitamin, or, more specifically, vitamin B7. WebMD explains that biotin is also called vitamin H in some cases. Within these carboxylase, carrier proteins are also present. The particular carrier protein substances that are present in these enzymes include biotin-carboxyl, biotin carboxylase and carboxyltransferase. These enzymes play vital parts in the metabolism of fatty acids, amino acids and carbohydrates. They are also important for the biosynthesis polyketide, as well as the utilization of urea. Many other cellular processes depend on the activity of these metabolic enzymes as well. Acetyl-CoA carboxylases are one particular form of these enzymes that researches are conducting studies on. They have found that these enzymes can be utilized in the creation process of drugs that can be used to treat certain diseases, such as cancer, obesity, type 2 diabetes and bacterial infections. Research is also being conducted to study the effects of these enzymes on other diseases that are involved in the metabolic system. It is also important to note that deficiencies in certain carboxylase enzymes (propionyl-CoA carboxylase, 3-methylcrotonyl-CoA carboxylase and pyruvate carboxylase) has also been linked to several diseases that can cause severe symptoms, and may even be life-threatening when not treated with the right tools and medication. Another important type of metabolic enzyme is lipoxygenases. Similar to how the previously discussed enzyme, being carboxylase, is dependent on biotin for its functionality, lipoxygenases contain iron and is also dependent on this iron content to perform its particular functions. The primary purpose of lipoxygenases in the metabolic system of the human body is to assist with the production of fatty acid hydroperoxides. In addition to being in control of fatty acid hydroperoxide production, these enzymes also contributes to the metabolism of these compounds. The function of fatty acid hydroperoxides have been widely studied in plants, and seems to provide a repellant action for the plant against insects; thus meaning these compounds form a type of protective mechanism for the plant. In humans, however, the functioning of these compounds vary. There are various types of lipoxygenases, and, similar to the other enzymes we have discussed thus far, they each also possess their own unique functions and abilities. 15S-(arachidonate : oxygen 15-oxidoreductase) – note that there are two different forms of these lipoxygenases present in the human body. Transferase refers to a relatively large group of enzymes that are involved in the metabolic process of the human body. While the previously discussed enzymes mostly involves certain functions in the body that relates to specific enzymes that performs functions on a cellular level, transferase rather refers to a group of enzymes that performs another feature that, ultimately, plays one of the most important roles not only when it comes to the metabolic process within the human body, but also when it comes to the entire human body’s homeostasis. A transferase enzyme acts between two molecules in the body, called the donor and the acceptor. These enzymes are also involved in hundreds of biochemical pathways in the body and, without these particular enzymes, the biochemical pathways are unable to function adequately. The purpose of transferase enzymes is to transfer a particular group of functions from a donor molecule to an acceptor molecule. Deficiencies of transferase enzymes in the body have been linked to the development of many different diseases and illnesses. Cellular product buildup is the most common symptom that develops when there is a lack of transferase enzymes, but various other potentially problematic factors have also been linked to such a condition. Let’s consider the different types of transferase deficiencies individually to better understand the symptoms to look out for, and what such a deficiency may lead to. Succinyl-CoA:3-Ketoacid CoA – When there is a lack of succinyl-CoA:3-Ketoacid CoA enzymes, a particular type of transferase enzyme, in the body, then the body is unable to metabolize ketones. 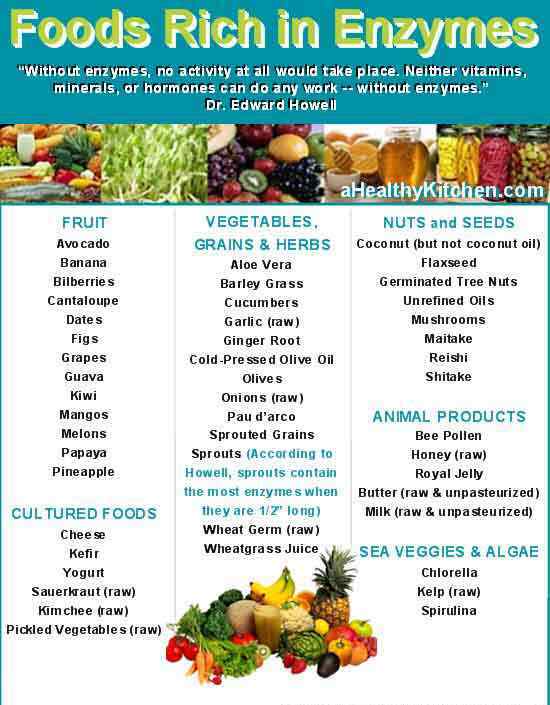 These substances are vital for fat breakdown, and they are also important for fueling the body with energy. A condition known as ketoacidosis may occur when this particular deficiency is present. Prior to the development of ketoacidosis, a condition known as ketosis may be present – this is a milder type of ketoacidosis. With ketosis, the body contains a higher level of ketones that what is should contain. When the condition progresses into ketoacidosis, also sometimes called diabetic ketoacidosis, the acidity level of the blood is too high, which may cause harm to certain organs inside the body – with the kidneys and liver being at a very high risk. The condition may become life-threatening if not treated quickly and, according to Healthline, may progress significantly within as little as 24 hours. Galactose-1-phosphate uridyltransferase – The body usually produces a lower volume of galactose-1-phosophate uridyltransferase when there is a particular gene mutation present in the body. This deficiency can lead to the development of galactosemia. Galactosemia can be divided into two groups – common galactosemia, which is the more severe version of the condition, and Duarte galactosemia. This condition, according to the U.S. National Library of Medicine, has an adverse impact on the human body’s ability to process galactose, a simple sugar that is found in quite a large number of foods. The condition can become problematic when present in infancy as the particular sugar is usually found in baby formulas, as well as milk; thus causing the symptoms of the condition to develop in the infant. Carnitine Palmitoyltransferase II – A deficiency in carnitine palmitoyltransferase II enzymes causes the body to possess high levels of the particular fatty acids that are present in long chains. This occurs when the body is unable to thoroughly metabolize fatty acids so that they can be used as an energy source – caused by the deficiency in the particular transferase enzyme responsible for such a transference. This particular deficiency may lead to quite severe symptoms, such as seizures, liver failure and heart problems. It has also led to death in some cases. Note that the two most severe types of this deficiency become present in infancy, while the other less severe type can develop at any point in a person’s life. Choline Acetyltransferase – The body needs to produce choline acetyltransferase enzymes to support the production of a particular neurotransmitter known as acetylcholine. Choline acetyltransferase is a single amino acid and transfers the acetyl group from a particular coenzyme, known as acetyl, towards a molecule known as choline. Choline is present in nerve cells – it can either be membrane bound or soluble. A deficiency in these enzymes has been linked to quite a large number of diseases and conditions. Alzheimer’s disease is one particularly problematic disease that may be caused by a deficiency in choline acetltransferase. Other diseases linked to this particular deficiency include amyotrophic lateral sclerosis, schizophrenia, congenital amyotrophic syndrome and Huntington’s disease. In addition, sudden infant death syndrome has also been linked to such a deficiency. Lyases also plays an important part in the metabolic process. These enzymes speed up the process of breaking down certain chemical structures in the body. There are three primary types of lyases that breaks down compounds, including carbon-carbon lyases, carbon-oxygen lyases and carbon-nitrogen lyases. In addition to these types, there are also other important classes, such as carbon-sulfur lyases, carbon-halide lyases and phosphorus-oxygen lyases. There are also several subclasses, but these require a discussion on its own since the precise subclasses and functions are quite complex. 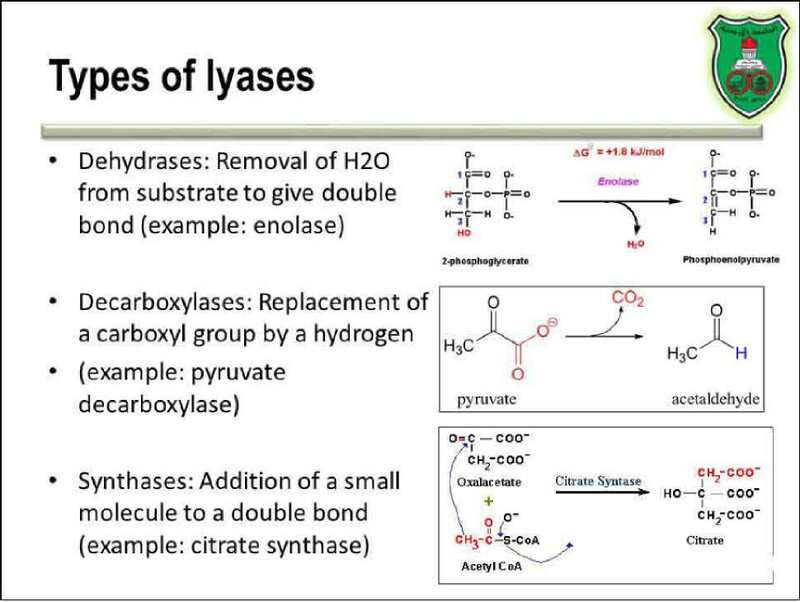 Lyases utilizes two particular processes, depending on the specific enzyme being examined, to perform its function. These to processes are called hydrolysis and oxidation. There are many examples of lyases working in the human body. To better understand the process, as well as the importance of these metabolic enzymes, we need to take a look at a few examples. Decarboxylases – This class of lyases has a carbon-carbon reaction in the body. An example of a particular form of decarboxylases would be aldehyde-lyases, which splits the aldol condensation reversal. Another example would be oxo-acid lyases, which severs the connection of 3-hydroxy acid. Hydro-lyases – This is a form of carbon-oxygen lyases enzymes. These enzymes work by removing water from cellular structures. There are some carbon-oxygen lyases that also severs the polysaccharide chemical compound by the removal of phosphate or alcohol. A deficiency of lyases enzymes in the body is extremely rare and, should it be present, the symptoms will most often start to develop in infancy before a child reaches the age of one. With such a deficiency, the body is unable to metabolize a particular amino acid known as leucine, and cannot process ketones, which form an essential part of the body’s energy production mechanisms. A lyases deficiency is inherited when each parent has one particular marker in their genes and both of these are carried on to the newborn child. When treated effectively and promptly, symptoms might only include lethargy, dehydration, vomiting and diarrhea. Poor muscle development may also be present. In more severe cases, especially when the condition is not detected by healthcare professionals, low blood sugar may develop and blood may become acidic. Symptoms may also include respiratory problems, such as trouble breathing, as well as convulsions and going into a coma. There have also been some cases of death. The final type of metabolic enzymes we would like to discuss in this report is known as kinase, or kinases when referring to multiple enzymes in the human body. These enzymes are also sometimes called protein kinase. These enzymes play a crucial part in the maintenance of the particular types of proteins that responds to enzymes. According to Cell Signaling Technology, kinase plays a part in the particular activity of these proteins, as well as their location in the human body and the functions they perform in the body. 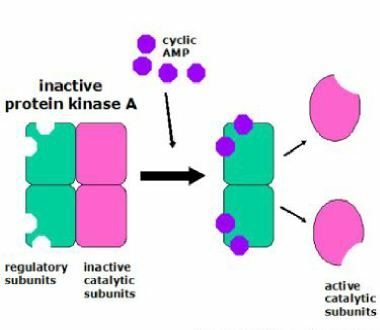 Furthermore, they also report that kinase has the role of organizing the millions of cellular activities in the body. Wikinome reports that kinases works by attaching a particular substance, known as phosphate, to the proteins that they need to modify. Through this process, the enzymes can control where the proteins will be sent to and located in the body, as well as determine many other features and functions of the particular proteins they affect. Proteins play quite an important role in a healthy body; thus it makes sense that the malfunctioning of kinase enzymes have been associated with numerous diseases that affect humans. In fact, more than 160 different types of kinase enzymes have been linked to an increased risk of certain diseases. Furthermore, it also seems like scientists are now focusing their attention on targeting certain types of kinases in the development of breakthroughs in new medicine that are meant to treat a variety of diseases and illnesses. Mutations of kinase enzymes may lead to the development of various unpleasant diseases that may affect a person’s lifespan and cause them to lead a lower quality-of-life. According to Manros Therapeutics, one of the major health concerns linked to kinases mutations include Alzheimer’s disease. This disease has affected at least 6.4% of the European population over the past 65 years and, according to recent studies, will affect over 65 million people over the world by 2035. Similarly, the most commonly diagnosed genetic disease amongst humans is also connected to kinases in many ways. The disease we are referring to is polycystic kidney disease. Over 12 million individuals have been diagnosed with this particular problem and it occurs when mutations are present in certain genes, which also causes problems with the encoding of particular proteins, consisting of polycystin-1 proteins and polycysten-2 proteins. Read Next: How Metabolism Influence Individuals Weight? Metabolic enzymes are essential for a healthy, functioning human body. These enzymes are involved in the growth and maintenance of cells in the entire human body, and are also responsible for maintaining healthy cells and removing and type of materials from cells that are not functioning at an optimum level. By performing these functions, metabolic enzymes are able to ensure the organs are working the way they should, and that tissue throughout the body stays healthy. Metabolic enzymes are not absorbed or obtained from food sources, but rather naturally created in the human body. When the production of these enzymes are compromised in any manners, it could lead to the development of numerous health ailments and diseases due to the importance that these particular enzymes have in the human body. In this report, we discussed the purpose and functions of metabolic enzymes, and we looked at why these enzymes are so vital for the functioning of organs, tissues and every single cell in the human body. In addition to discussing the importance of metabolic enzymes, we have also looked at how metabolic enzymes work together with other enzymes and body systems to provide a smooth overall function, and we discussed how diseases might become present in the absence of metabolic enzymes. Should symptoms be present that may signal a deficiency or problems with the metabolic process develops, a patient should seek medical examination from a qualified healthcare professional to assist with the detection of potential health-related issues. The consumption of enzymes through food may assist with increasing the concentration of digestive and food enzymes in the body, but metabolic enzymes are usually not replenished through the consumption of foods that are high in enzymes, such as bananas, raw honey and pineapples.